These sweet-tangy ribs are reminiscent of your favorite Chinese restaurant’s version of sweet and sour ribs. Restaurant ribs are usually made with small (1- to 2-inch) pieces of pork ribs and come to the table deliciously glazed in their flavorful sauce. In order to get their ribs perfectly tender on the inside while giving them a crisp exterior, restaurant chefs just toss them in a deep fryer. Since deep frying at home is unappealing as it can be messy and complicated, these use the Instant Pot to achieve the fall-off-the-bone tender effect and then get a quick run under a broiler or on a grill to crisp them up on the outside. Instead of using baby back rib pieces, we use St. Louis-style pork ribs. These are ribs that have had the sternum bone, cartilage, and rib tips removed. You can put the whole slab into the Instant Pot, which makes them easy to handle, and the way they’re trimmed makes them easy to separate and serve once they’re cooked. In a small bowl, combine the brown sugar, water, vinegar, ketchup, soy sauce, and ginger and stir to mix well. Put the ribs in a large bowl and pour the sauce mixture over them. Toss to coat. Place the ribs on top of the trivet in the Instant Pot and pour any remaining sauce over the top. When the cooking time is up, let the pressure release naturally for about 15 minutes and then quick release any remaining pressure. Remove the ribs from the pot, leaving the cooking liquid in the pot. Turn the pot to sauté and bring the liquid to a boil. Stir in the cornstarch-and-water mixture and cook, stirring, until the sauce thickens, 2 to 3 minutes. 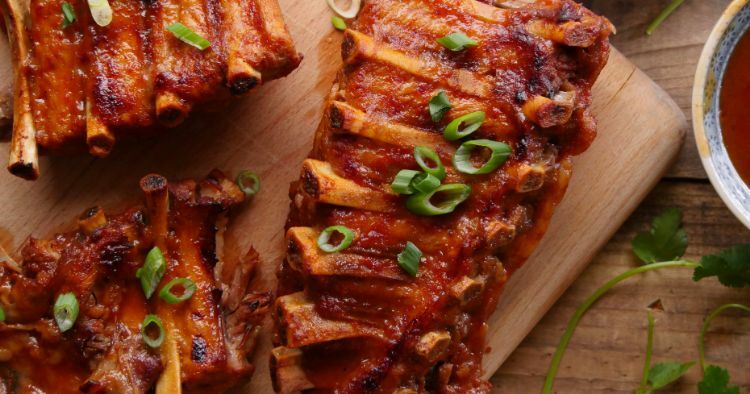 Arrange the ribs on a foil-lined, rimmed baking sheet if broiling. 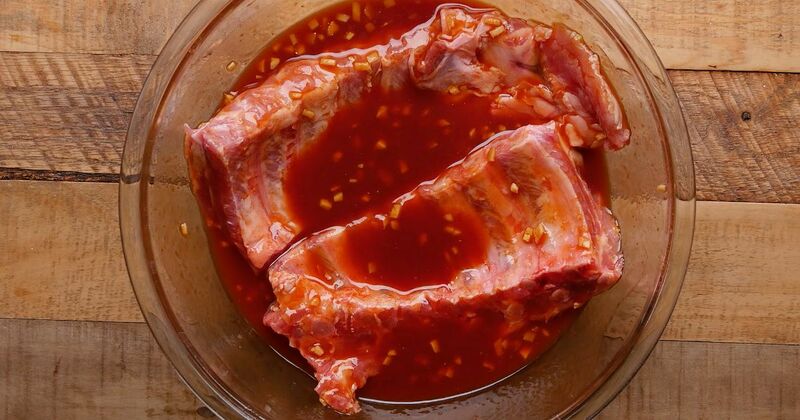 Whether grilling or broiling, brush the ribs all over with the sauce. Grill or broil for 6 to 8 minutes, until the sauce is bubbling and thick. Serve immediately.